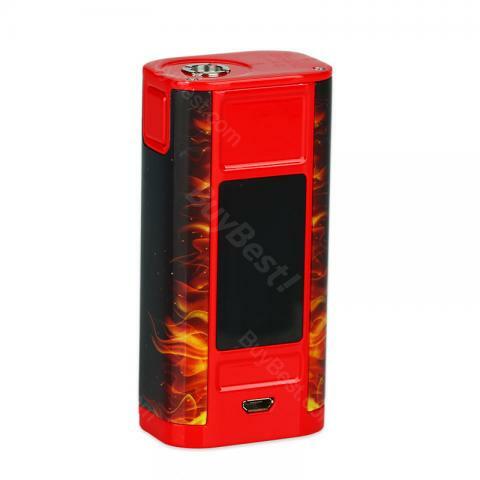 • It doesn't come with 18650 battery, you shall buy it separately. • It doesn't include Reverse Charging Adapter. This mood is great, very comfortable and durable. Battery life was not that great, then I did a firmware update and now I'm getting a day and a half off new VTC6s at 80 watts. I would reccomend this to anyone who wants a rugged durable mod. There were a few custom problems on this CUBOID TAP MOD, thanks to the buybest customer service; they are really kind and helpful. Thank you. Wow, really love the OLED screen, very big and clear!! Vor allem gefällt mir, dass Joyetech für die meisten Teile einen Ersatz gibt, welcher mitgeliefert wird. Darunter ist ein Ersatz "Glas" und Gummiringe. Ich empfehle den Kauf!